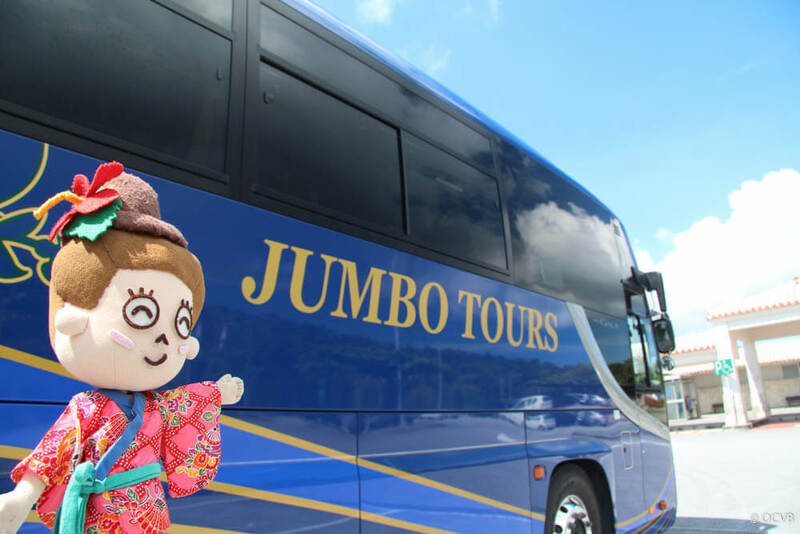 I recently took a Jumbo Tours Okinawa Hip Hop Bus 1 DAY BUS TOUR. 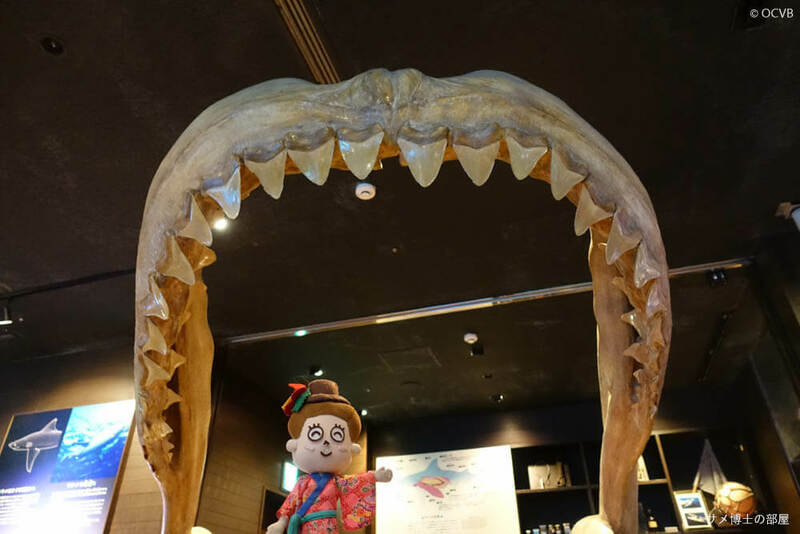 Out of the five courses available, I chose the one that went to Okinawa Churaumi Aquarium and Busena Underwater Observatory Tower, Kouri Island, and Mihama American Village. 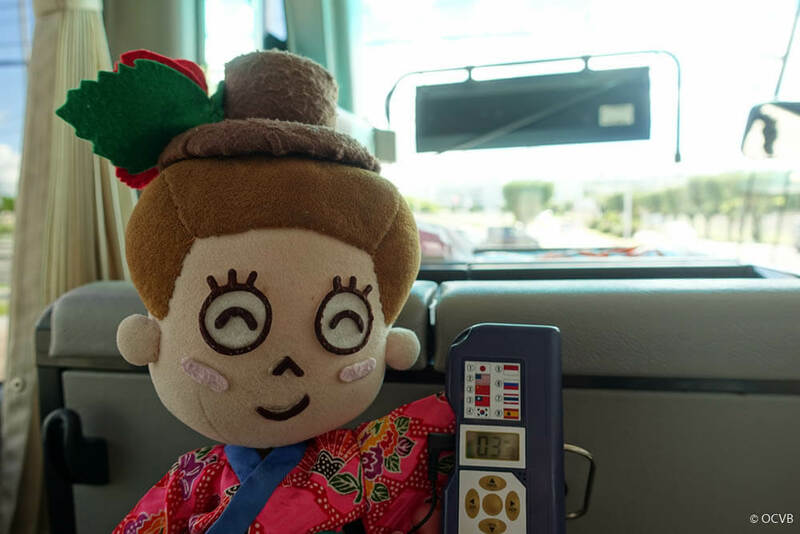 Foreigners can also participate with peace of mind thanks to the voice guides that are available in English, Mandarin, Cantonese, Korean, Thai, Russian, and Spanish. 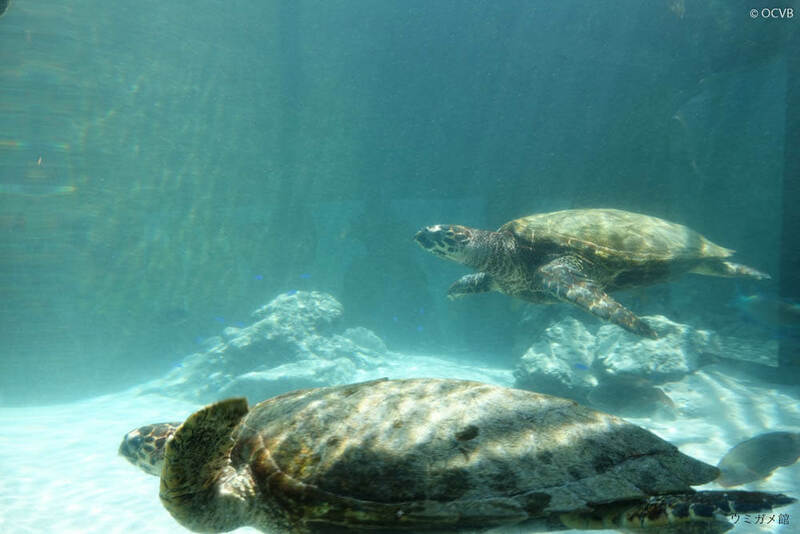 ※ The tour fee includes tickets to the Okinawa Churaumi Aquarium and the Busena Underwater Observatory Tower. 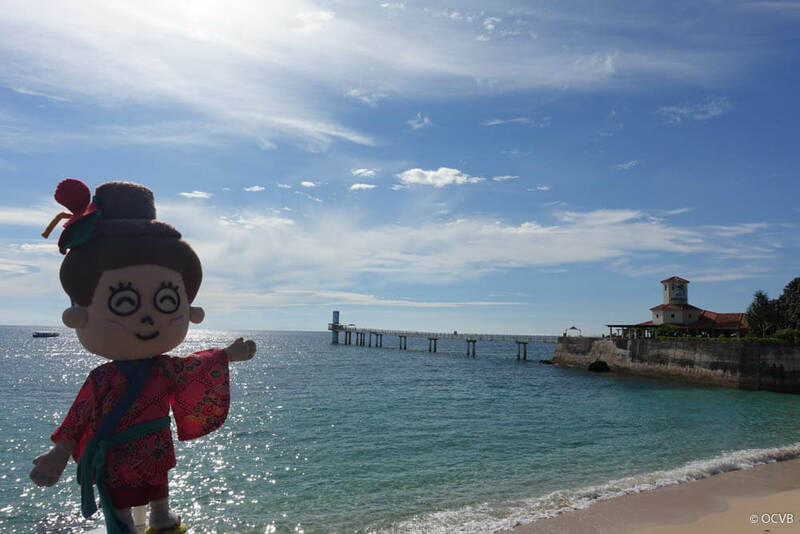 Our first destination is Kouri Island. We depart from Naha and have a quick break at the midway point (the journey is about 1 hour 40 minutes by express way). 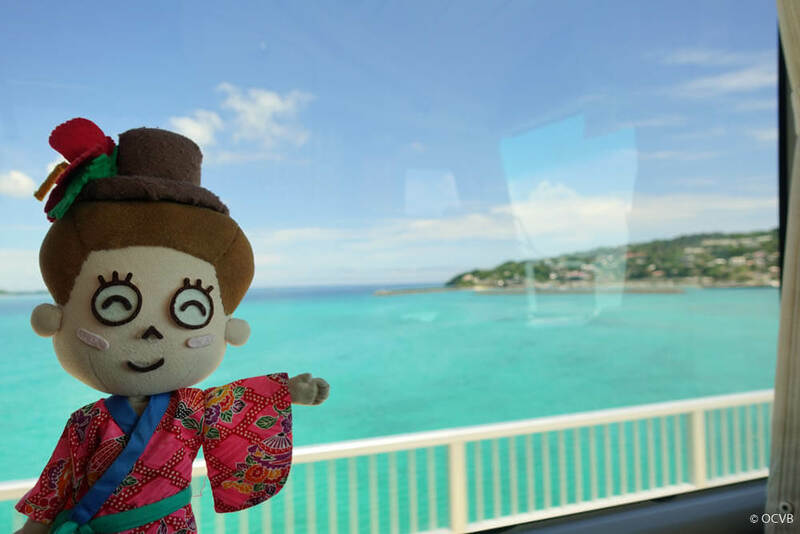 At Kouri Bridge, the windows look out onto an expanse of emerald green ocean. We get off the bus and after a short walk, there is a white sandy beach and beautiful blue sea. 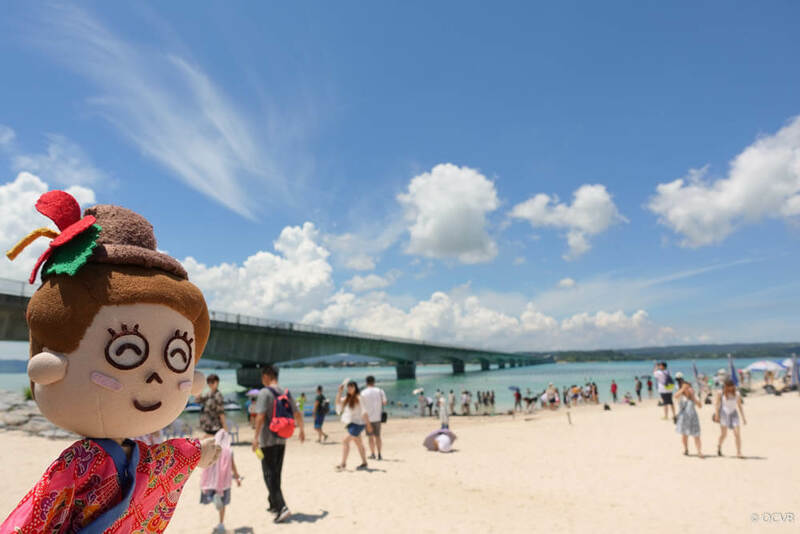 This is an excellent spot to take photos as Kouri Bridge can also be seen from here. The second destination is Warumi Bridge. 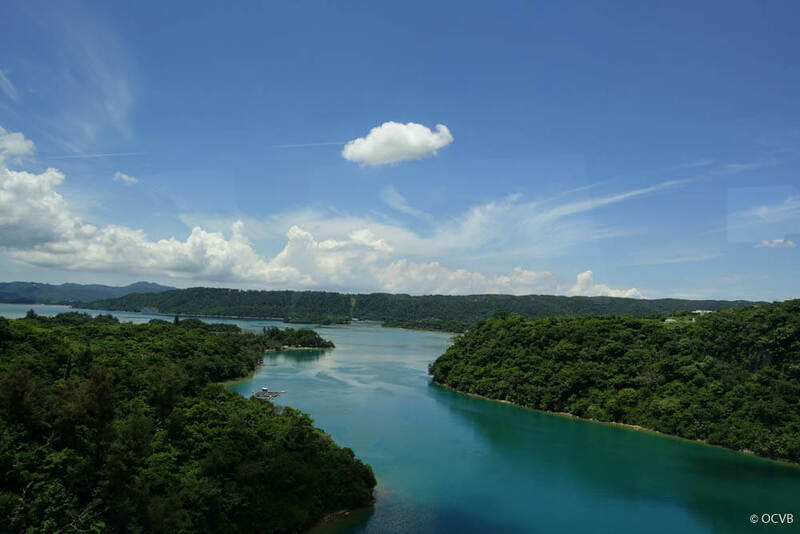 Although this is only viewed from the car window, here you can feel how rich the nature of Okinawa truly is. 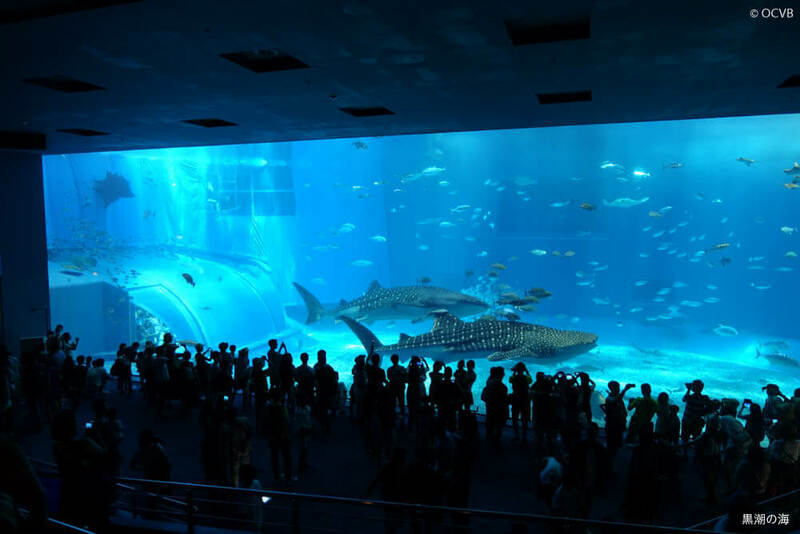 The third destination is the Okinawa Churaumi Aquarium, which has become a classic tourist attraction entertaining visitors from many countries in recent years. 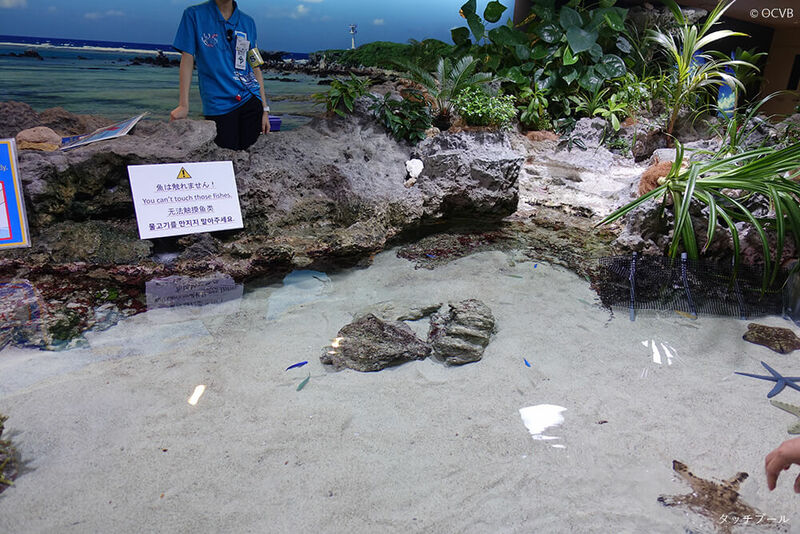 As soon as you enter, there is a touch pool where many creatures that make home to Okinawa’s coral reef can be touched, such as starfish. Carry on past the touch pool and there is a huge aquarium tank. 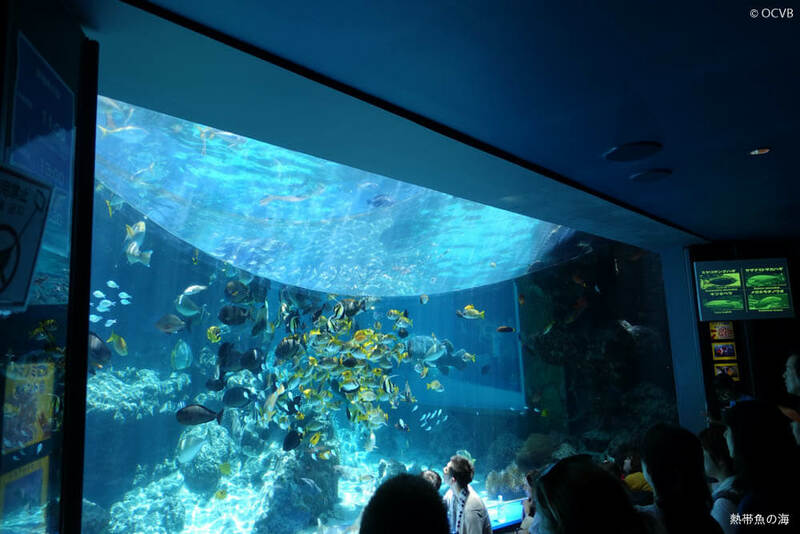 Because the outside light shines directly into the tank, the aquarium glitters as it reflects the sun. It is very beautiful! The “Sea of Tropical Fish” area is a very popular photography spot as it has a bay window that allows you to see the fish swimming overhead. If you are lucky you can even see the fish being fed. 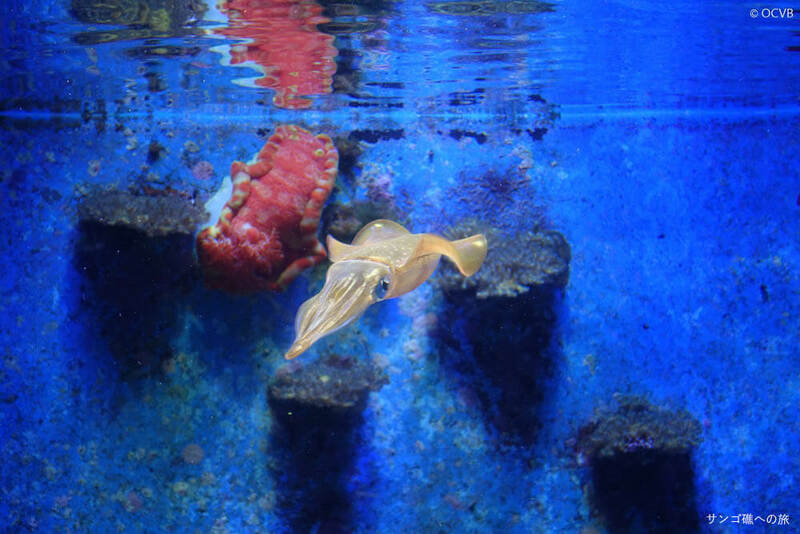 As well as the large aquarium, there are also smaller ones on show where you can observe creatures such as squid and jellyfish. 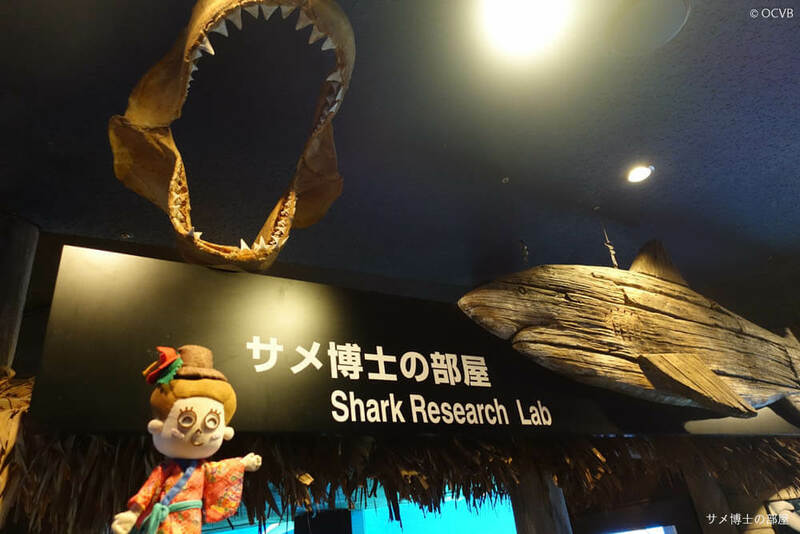 There is also an exhibition space dedicated solely to sharks, called the “Shark Research Lab.” Here there is another great place to take photos, which is underneath a reconstructed model of the jaw of a Megalodon, an ancient shark that is now extinct. 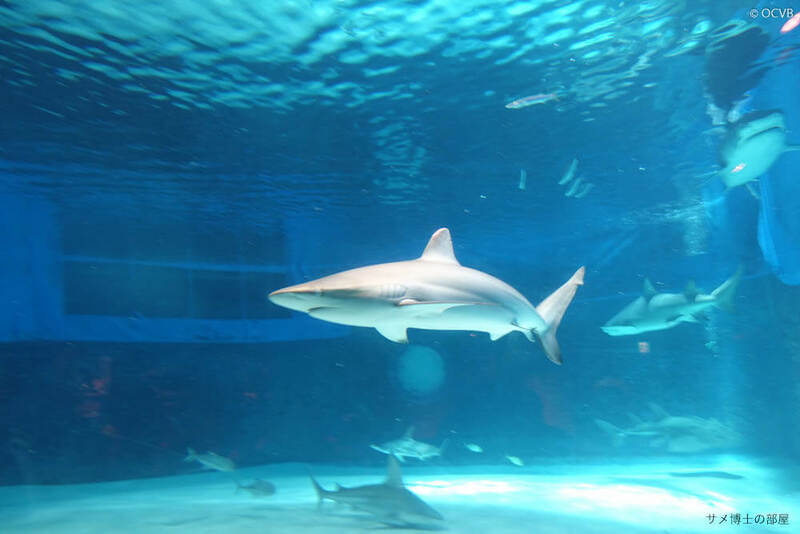 After leaving the “Shark Research Lab,” there is another large aquarium. 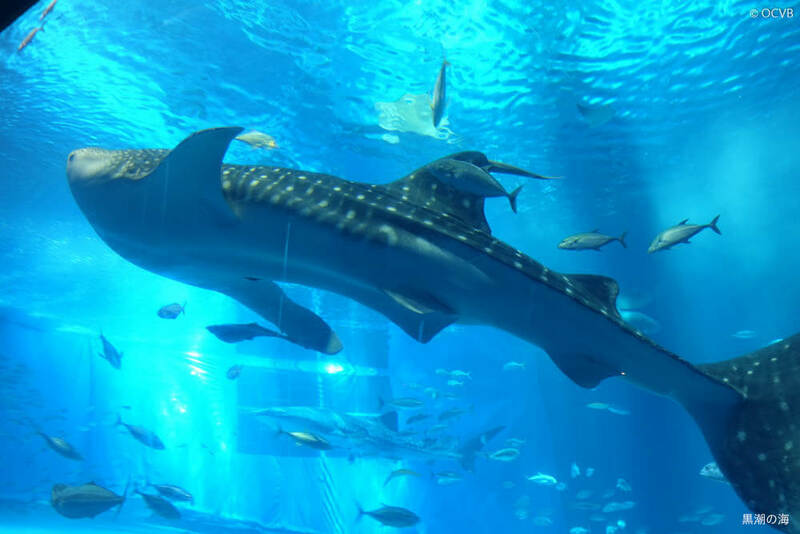 This is the largest within the Okinawa Churaumi Aquarium, and contains two whale sharks alongside many fish that slowly swim around. 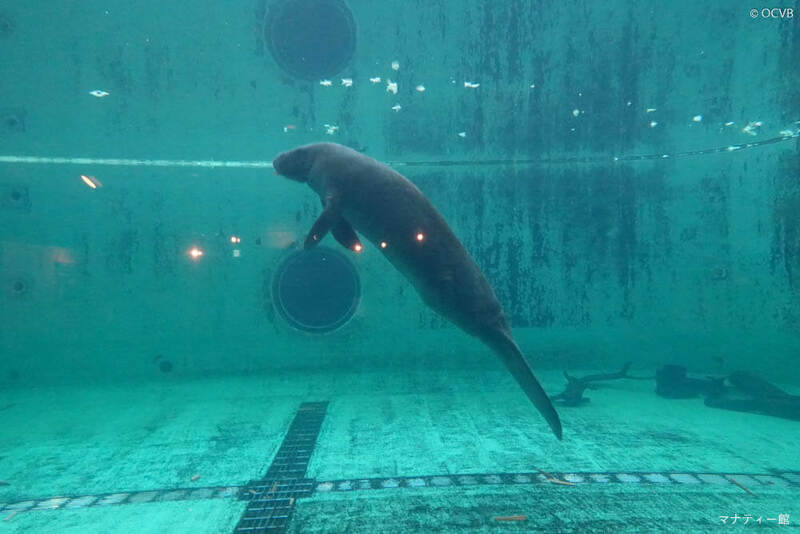 Outside of the aquarium there are many other attractions, which means you can enjoy a full day here without getting bored, including the Manatee Pavilion, Turtle Pavilion, and the Okichan Theater. 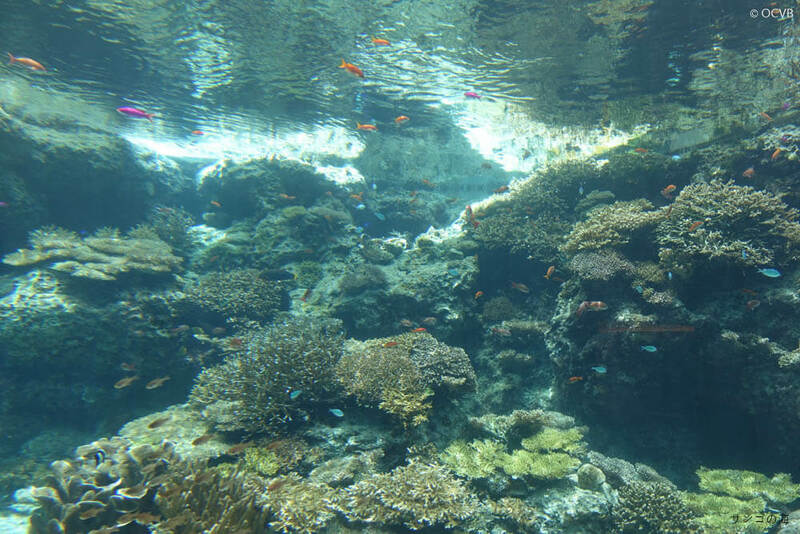 The fourth destination of the tour is the Busena Marine Park. 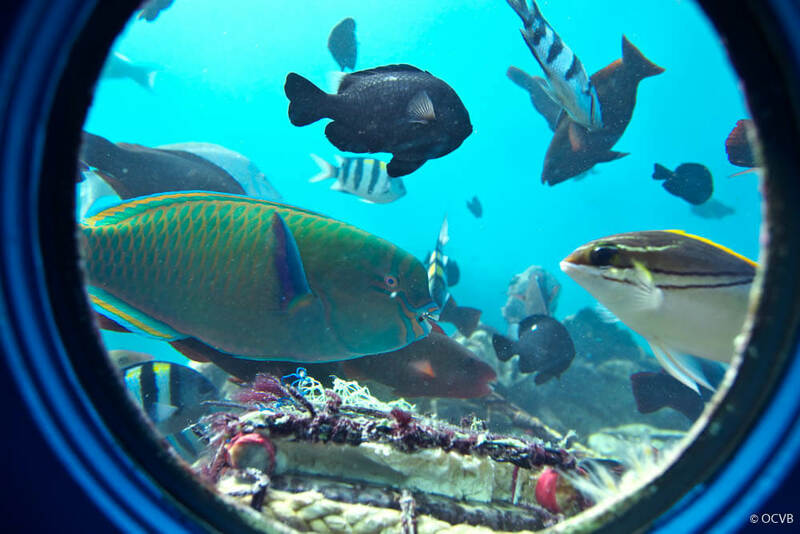 Both the underwater observatory tower and glass boat are recommended! This time I went to the underwater observatory tower. 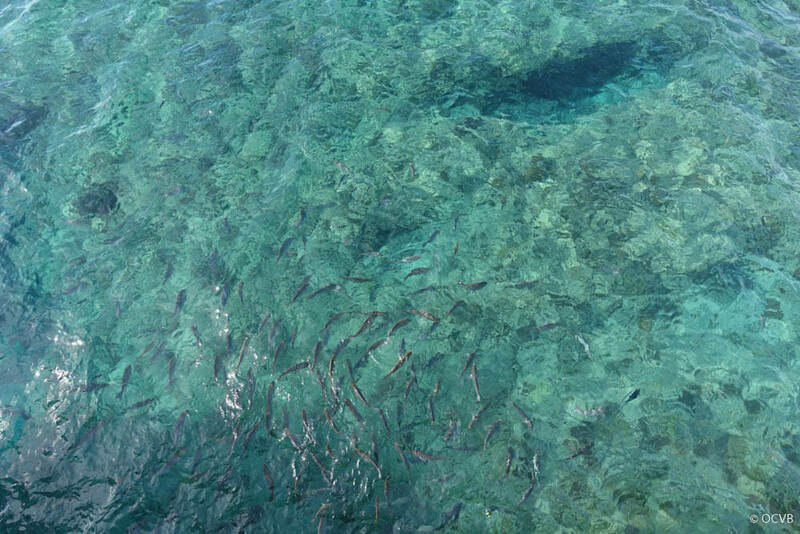 The ocean is very clear along the pier up to the underwater observatory tower, so you can see lots of fish. You can also feed the fish from the pier. Finally, the underwater observatory tower! As you go down the stairs there is a round window where you can look out into the ocean. 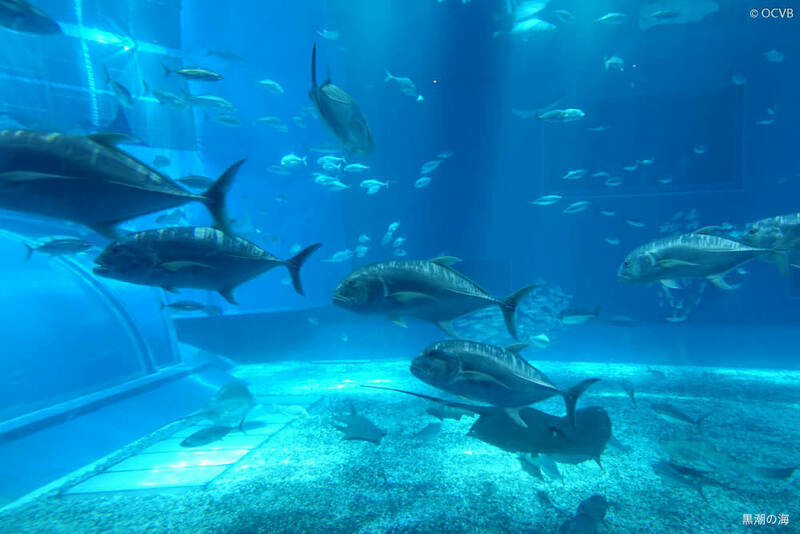 If you are lucky, you will see lots of fish. 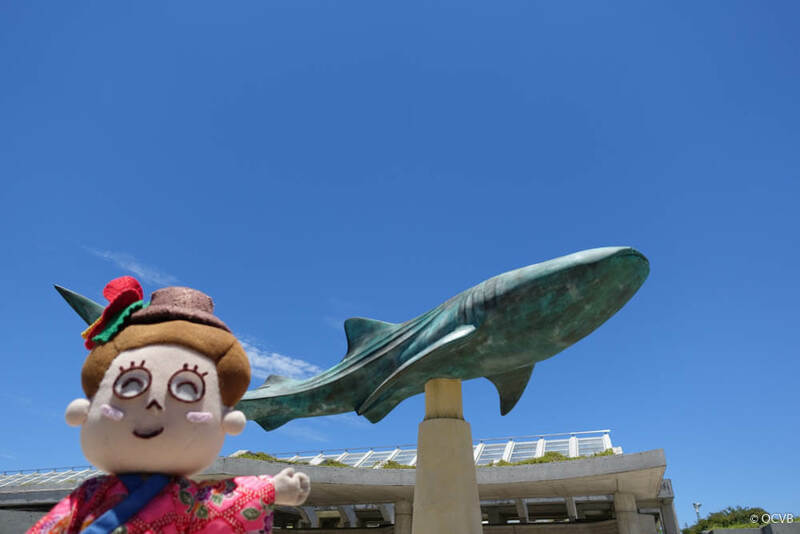 After leaving Busena Marine Park, the final destination is Mihama American Village in Chatan. 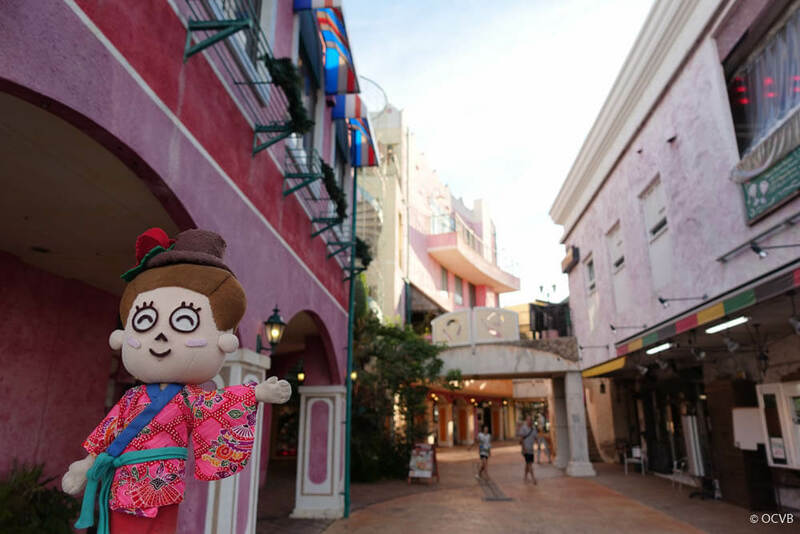 Mihama American Village is a complex built to mirror the image of the West Coast of the USA, where you can enjoy shopping and restaurants. 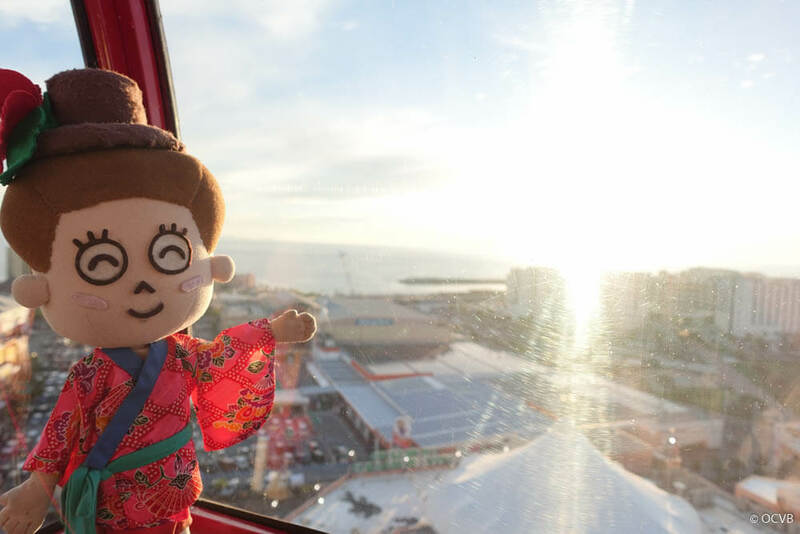 Mihama American Village also has a Ferris wheel! I recommend watching the sunset from here! 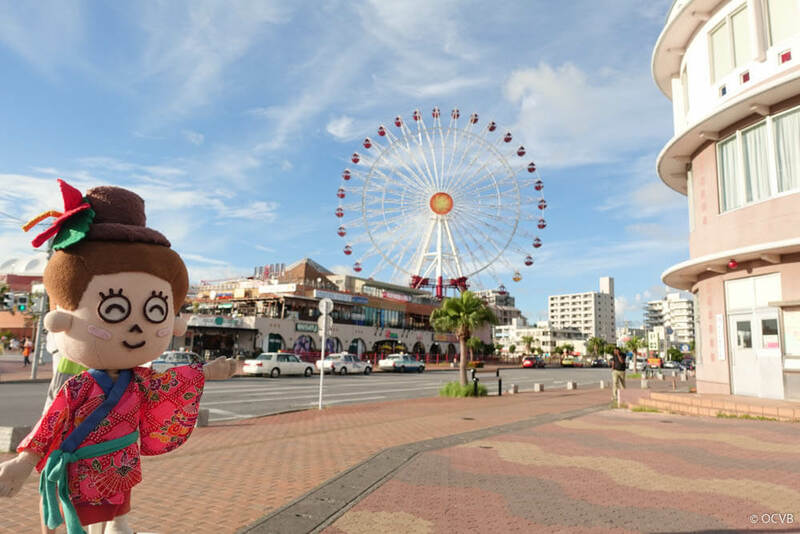 The tour ends after returning to Naha from Mihama American Village. 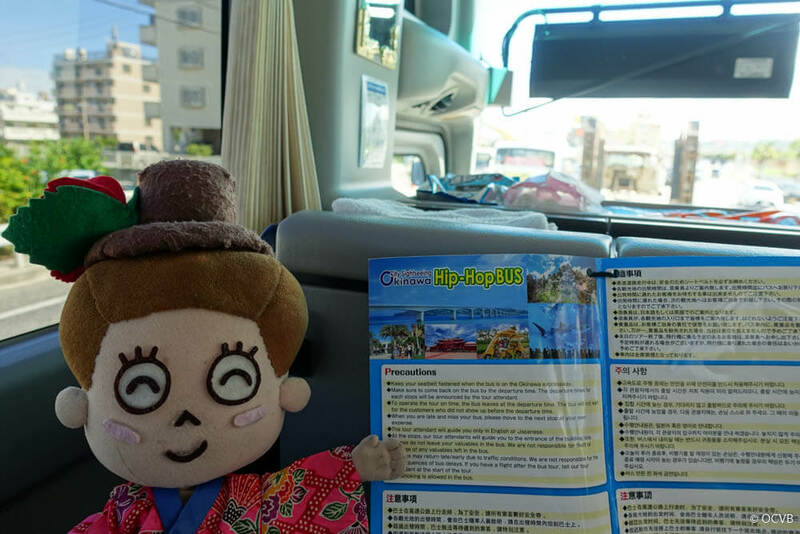 This tour is also recommended for those who have a short stay in Okinawa, or who do not travel well in cars. Why not give the Okinawa Hip Hop Bus 1 DAY BUS TOUR a shot?